Philippe Petit, the amazing daredevil and high-wire artist was born today in 1949. He is most famous for walking and dancing on a wire between the two towers of the World Trade Center in 1974. His stunts show how far one can go with enough determination, training, and daring. I sometimes recommend juggling and joggling to boxers and martial artists as a great way to cross-train so they can beat up people better. Some may see mixing martial arts and juggling as something new, but it is anything but. This goes way back to ancient times, like shopping malls. Yes, shopping malls – the ancient Romans built the first shopping malls. And you know what comes with malls – mall rats! We aren’t so different from the ancients after all. That sounds amazing, though it is likely false or greatly exaggerated. Still, you can’t go wrong learning to juggle if you’re a martial artist. It is no surprise that Andy Murray, one of the best tennis players in the world, the first British man to win the Wimbledon Championships in 77 years has some “juggling” ability. As impressive as this is, I put “juggling” in quotes to describe this since “juggling” almost always requires 3 or more objects, not one(this is a very controversial issue among jugglers). Still, this is amazing and suggests he could easily do 3 or more ball juggling if he wants to and probably does. Tennis is one of those sports in which learning to juggle may be especially beneficial. I remember last year juggling in the park one day when a tennis instructor came up to me and told me how impressed he was with my juggling skills(even though I dropped them many times). And I was just juggling, not joggling. He said he often tries to get his students to juggle, since he thinks it helps to improve their tennis playing ability. It looks like he was on to something. He’s not the only tennis instructor to suggest this. At Essential Tennis, they recommend juggling to improve your game – Improve your hand-eye coordination: Juggle! 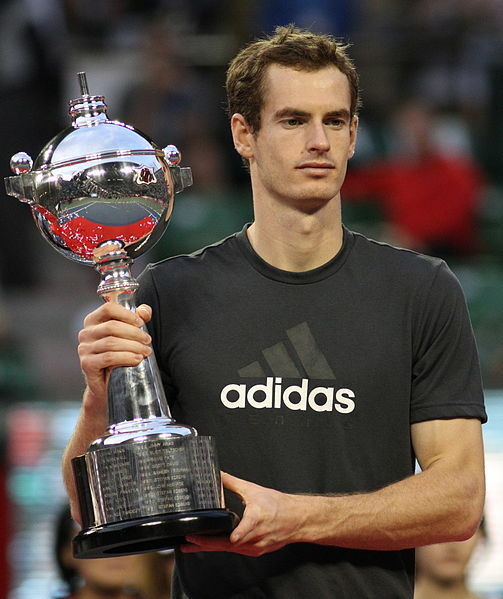 Congratulations to Andy Murray for his victory. I hope he continues juggling and it would be great if he took up joggling. Wild Juggling at Just Your Average Joggler! I was recently interviewed by Perry Romanowski over at Just Your Average Joggler! Its an honor to be featured there, alongside many other, far more accomplished jogglers like Joe Salter(first person to juggle through an entire Triathlon)and Matt Feldman (holds record for fastest 5 ball joggling), among many others. They are both world record holders, and Perry holds the world record for joggling 50 miles. I currently hold no records. There are so many different approaches to joggling and sport juggling these days, it’s getting really exciting. Be sure to read the many interviews about joggling on the site. As I’ve mentioned before, Just Your Average Joggler is the best joggling site. I hope you visit it and follow it, and not just to read my interview. There aren’t very many jogglers out there. In the U.S, the number of jogglers appears to be in the hundreds. Most train just to be better jogglers or because they simply love joggling. There are also a few “swogglers”(juggling while swimming) out there, but they are even rarer. A few jogglers, like Perry Romanowski, are ultra-jogglers, which is basically juggling while ultra-running. Perry has not only set many world joggling records, he also runs by far the best, most informative website about joggling at: Justyouraveragejoggler.com. Whether you are just a casual joggler or you want to train for marathons or ultra-marathons, his site has a lot of useful advice. I’ve learned a lot from him, and wish him well in his ultra-ultra marathon joggling and scientific exploits. While joggling for joggling’s sake is why most of us do it(and I am not sure if ultra-marathon joggling counts as an “extreme sport”), can joggling also be used as training for extreme sports? Obviously, the best way to train for various extreme sports is to train at these sports, but a little cross-training can be valuable, especially with how joggling improves your hand/eye coordination. After all, why run, when you can joggle? 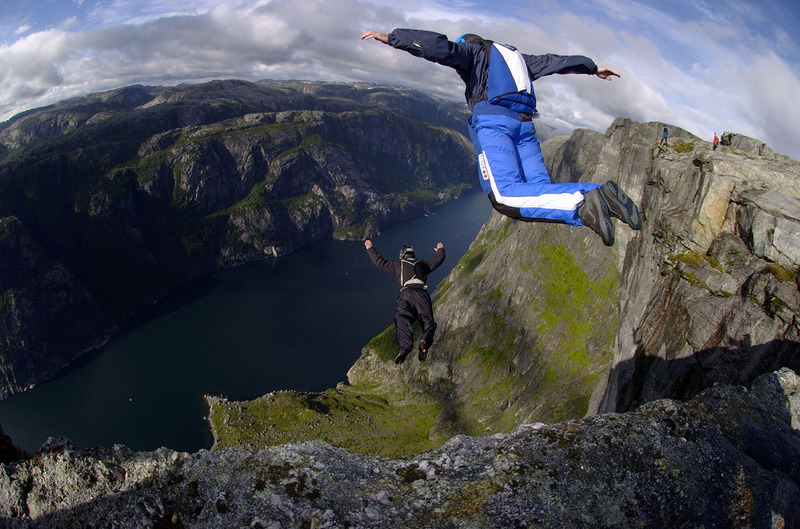 While there is no universally agreed upon definition of an “extreme sport”, certain sports like BASE jumping obviously qualify. A looser definition could easily include downhill skiing(especially extreme skiing), and rock-climbing. Hang gliding would also probably qualify. The main thing these all have in common are that they are inherently dangerous, especially BASE jumping. Another thing they have in common is that they all require a very high level of coordination, coordination that can make the difference between life and death. Just think of the coordination a rock climber needs, and the split second decision making they need to make if something goes wrong, and how having excellent coordination can prevent them from falling to their death. So can joggling help better prepare people who want to BASE jump, or rock climb, or be an extreme skiier? I honestly do not know, but I see little reason to believe it would hurt. I have no experience in any extreme sports except for a little climbing, so my opinion concerning this isn’t particularly well-informed. One reason joggling may be a good cross-training activity for extreme sportsmen and sportswomen, is that it is much easier to find the time and place to joggle on a regular basis. But who can BASE jump every day? Or ski down an extreme mountain slope, or hang glide every day? Unless you are very lucky to live at a place that affords you the opportunity to do this, and you also have a lifestyle that allows you to do this every day, it can be difficult to practice these activities with regularity. So if you are into extreme sports or want to get into them, why not give joggling a try first? Maybe you will be a lot better at your chosen extreme sport if you joggle every day, or maybe not. It’s difficult to know how much of your joggling ability can transfer to other activities requiring extreme coordination, but I am reasonably certain it is greater than nothing. 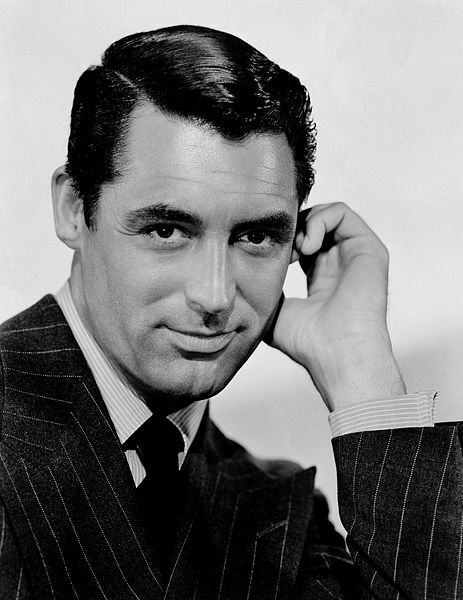 Known for his transatlantic accent, debonair demeanor and “dashing good looks”, Grant is considered one of classic Hollywood’s definitive leading men. Leach’s experience on stage as a stilt walker, acrobat, juggler and mime taught him “phenomenal physical grace and exquisite comic timing” and the value of teamwork, skills which would benefit him in Hollywood. I couldn’t have said it better myself. It seems his early career as a juggler and acrobat also helped him refine his acting ability, where timing is everything. So next time you see North by Northwest, or Bringing Up Baby or any Cary Grant film, remember he started out as a juggler. It’s too bad he wasn’t a joggler. So if you are an actor or performance artist, learning to juggle may help you improve your abilities. I’ll go joggle in a north by northwesterly direction later today.